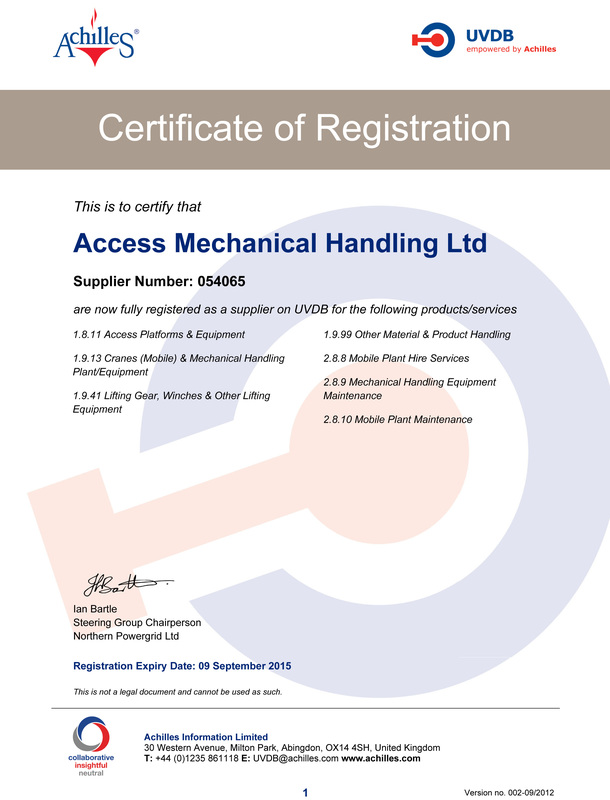 Access Mechanical Handling Limited is a long-standing member of the Fork Lift Truck Association, the professional body governing the forklift truck industry. 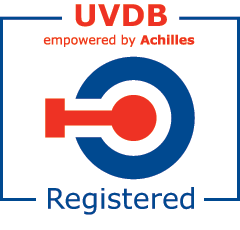 All members have to adhere to strict guidelines and standards. To our customers across Scotland, our membership of the Fork Lift Truck Association guarantees that when you buy, lease or hire a forklift truck from Access Mechanical Handling, you are dealing with a company adhering to the highest standards of professionalism, safety and customer service. 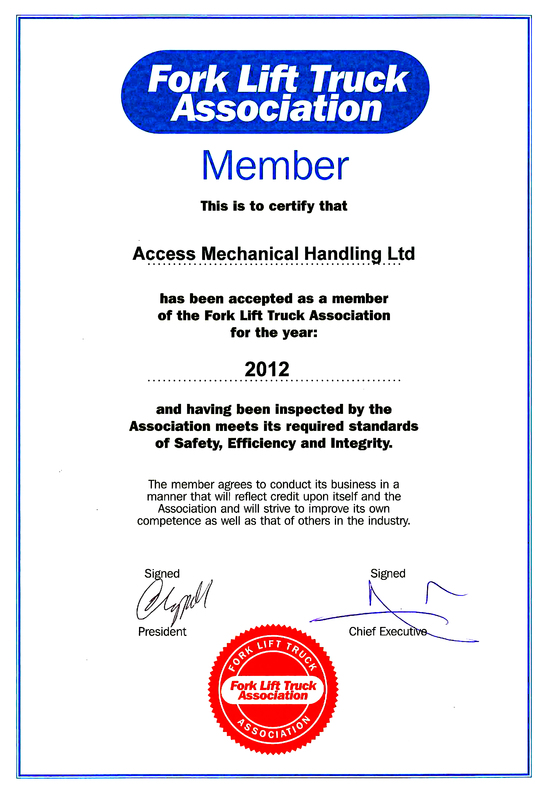 To view or download a copy of our Certificate of Membership of the Fork Lift Truck Association, please click here. If you’d like to enquire about the standards required for membership of the Fork Lift Truck Association, feel free to call us at Access Mechanical Handling on 01698 745859.